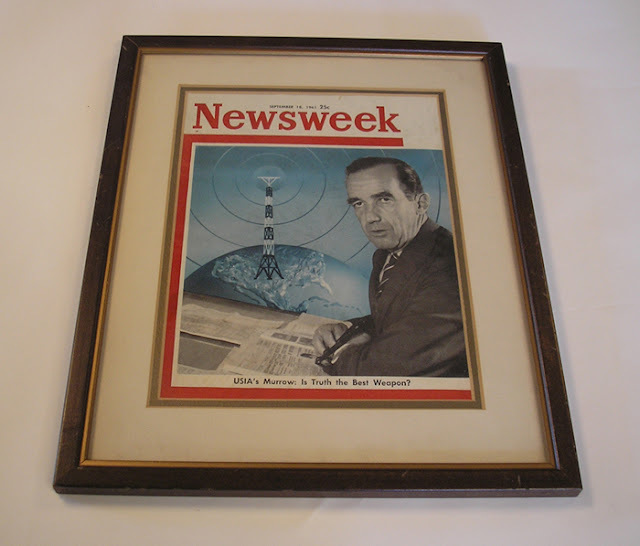 Jim Rutenberg, New York Times; on the United States Information Agency (USIA, 1953-1999), headed by Murrow during the Kennedy administration, and which carried out public diplomacy during the Cold War, see. Murrow image (not from article) from, with caption: "September 1961 issue of Newsweek with headline 'USIA's Murrow: Is Truth the Best Weapon'"
The networks bear extra responsibility because they did so much to make them into the larger-than-life — and, therefore, not-true-to-real-life — characters they became. 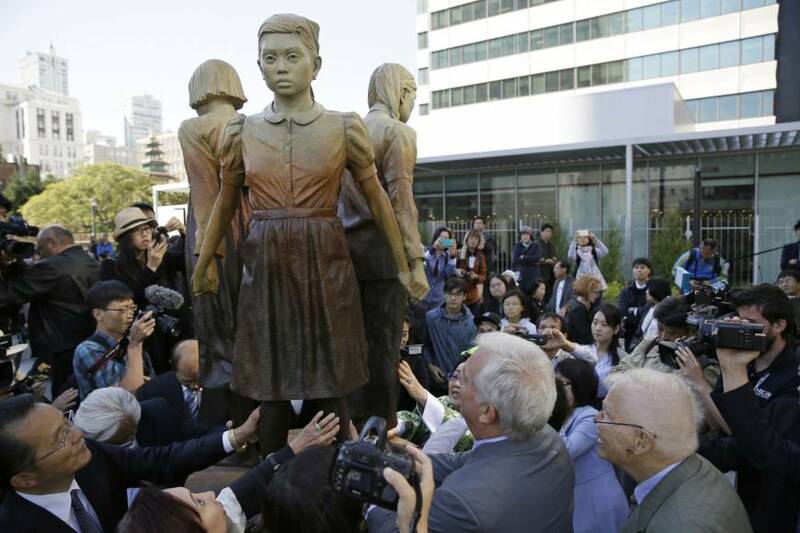 Image from article, with caption: San Francisco's memorial for 'comfort women' is unveiled on Sept. 22. Just as Civil War memorials are coming down, this comfort women memorial is among a growing number going up in the United States, to include Glendale’s Central Park in California, a Comfort Women Memorial Peace Garden in Fairfax County, Virginia, and Brookhaven, Georgia, one of the most activist cities against human trafficking. 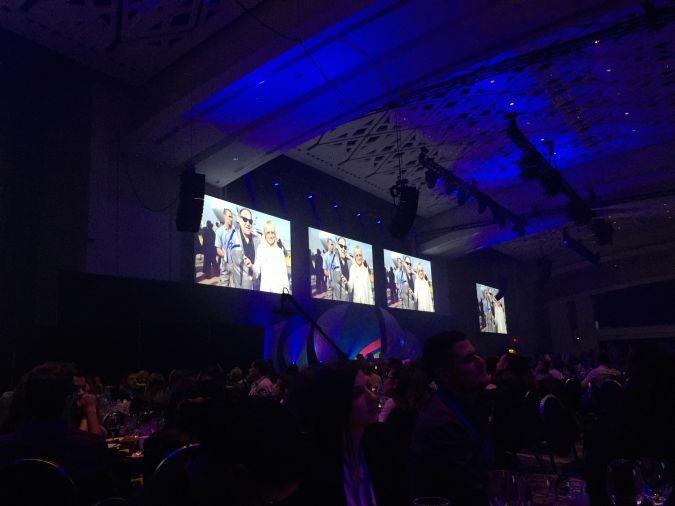 Image from article, with caption: Pictures of Sheldon Adelson projected on a screen at the Israeli-American Council’s convention in Washington, D.C.
Act.il asked users to “Leave a COMMENT to uncover ei’s biased reporting,” and to “Feel free to LIKE other comments you agree with.” The mission offered sample text to leave on the page. Electronic Intifada’s Facebook post quickly drew an odd array of comments, many of which consisted of the same stilted language from the samples. “Shufersal and the Dutch Embassy take public diplomacy to the next level,” three more wrote. Electronic Intifada’s executive director, Ali Abunimah, said that he hadn’t noticed the strange commenting pattern. Even if he had, there would have been no way for him to know that Act.il had targeted his site. Federal law in the United States requires that individuals trying to influence American policy on behalf of foreign principals register with the Department of Justice as foreign agents. Legal experts told the Forward that Act.il’s activities as described likely would not require registration under the Foreign Agents Registration Act. In addition to the app, Act.il produces pro-Israel web content that carries no logo. It distributes that content to other pro-Israel groups, including the Adelson-funded Jewish fraternity Alpha Epsilon Pi and The Israel Project, which push them out on their own social media feeds. Tammy Levy, an IAC employee, runs the Act.il “media room” in Tenafly. On the Wednesday the Forward visited, Levy opened the evening session with a PowerPoint presentation. Going around the room, Levy asked the adult and high school student volunteers for advice for a few of their number who were being sent out that weekend with a hired professional videographer to shoot a pro-Israel video in Washington Square Park. Pope Francis has demanded that the international community take "decisive measures" to resolve the causes of the mass exodus of Rohingya Muslim refugees from Myanmar. Prince William, The Duke of Cambridge, was presented with an unusual gift during his official visit to Finland. Two handmade hobbyhorses were presented to The Duke during his visit to Slush, the biggest startup event in Europe, which takes place in Helsinki annually. Hobbyhorsing has been sweeping the Nordic nation in recent years, with thousands of enthusiasts making and selling horses and riding them at events inspired by real equestrian disciplines such as dressage and show jumping. Riding hobbyhorses has even taken the form of an organised sport, with the Hobbyhorse Championships held annually in Finland. The sport is estimated to have more than 10,000 followers in Finland alone. Prince George’s hobbyhorse, named after his father’s first pony, Smokey, is a dark grey pony with a long, grey mane, friendly eyes and a dark brown bridle. Princess Charlotte’s horse, called Snowflake, is a white Finnhorse with ashen markings on its muzzle and a light blond mane. Its bridle is magenta. Both hobbyhorses are designed and handmade by Finnish hobbyhorsing superstar Alisa Aarniomäki, who achieved worldwide visibility after she was featured in the documentary Hobbyhorse Revolution. The hobbyhorses were presented by Emma Rispoli from the Ministry for Foreign Affairs of Finland. ThisisFINLAND, Finland’s official country website, will tomorrow launch a worldwide campaign to promote hobbyhorsing to a global audience. The campaign includes a limited edition, hobbyhorse-inspired urban fashion collection by leading Finnish labels, a website that promotes the art and sport of hobbyhorsing, and a short film written and directed by Finnish filmmaker Viivi Huuska. “The Duke of Cambridge and his family are known for their love of horses, and with hobbyhorsing a huge phenomenon in Finland, what better present to take home to Prince George and Princess Charlotte than a pair of hobbyhorses tailored to their interests,” says Petra Theman, Director of the Unit for Public Diplomacy at the Ministry for Foreign Affairs. One of the most active Serbs in the French diaspora Zoran Milinkovic, the European affairs consultant and lobbying professor Zoran Djordjevic and business communications post-graduate and nation-branding practitioner Borka Tomic joined their forces to establish Serbian Institute for Public Diplomacy in August 2005. Its original name was the Institute of Serbia & Montenegro. Following the break of the state union of Serbia & Montenegro, a new name was adopted. Serbian Institute advances the practice of public diplomacy through research, consultation, publications, and professional services. Located in the heart of Brussels European quarter, in the vicinity of the European Parliament and other European institutions, Serbian Institute for Public Diplomacy provides press center services, roundtable discussions and briefings, promotional material and serves as an info point, promo center and an analytical service. Serbian Institute aims to develop Serbian public diplomacy initiatives through its practices and in collaboration with other academic and research institutions. To this end, as a quite recent organization, it is seeking to join its forces with Serbian and foreign government officials, Members of Parliament and their staffs, practitioners in non-governmental organizations, and the media. Serbian Institute aspires to set the trends in the public dimension of Serbian diplomacy, by learning the lessons from successes and failures in public diplomacy to the benefit of both the international community and the Republic of Serbia itself. Serbian Institute has no government connection and receives no financial support from any government source. 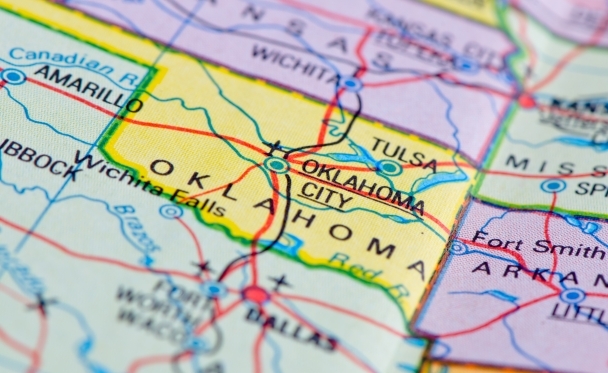 It seeks support from foundation grants and corporate gifts. 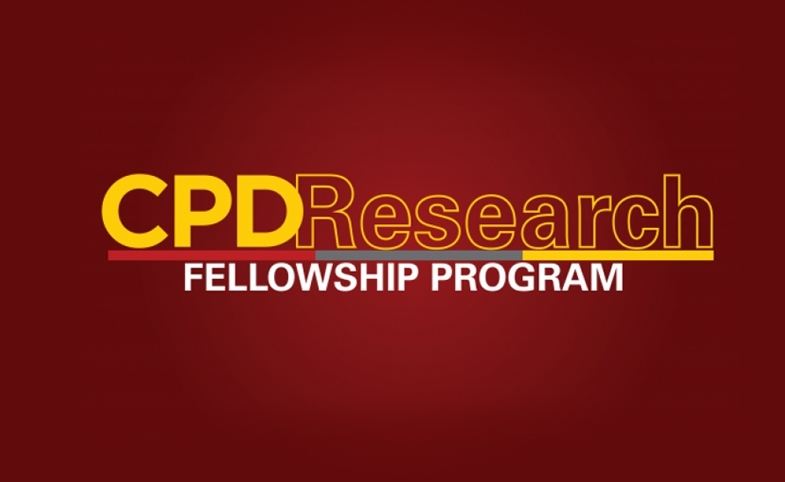 Our three newest research fellows from Australia, the U.S. and Switzerland bring projects on China-Pakistan relations, Middle East attitudes towards western foreign policy, and enhanced evaluation of country images. U.S. 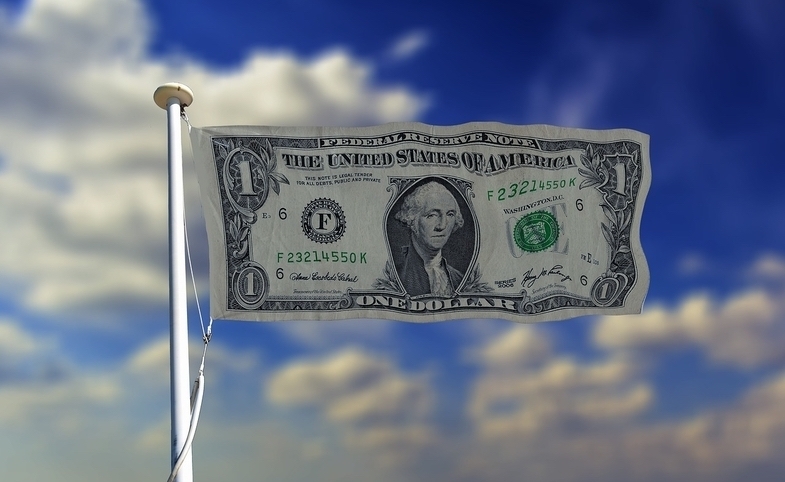 Advisory Commission's Shawn Powers on why the United States' public diplomacy budget needs more attention. 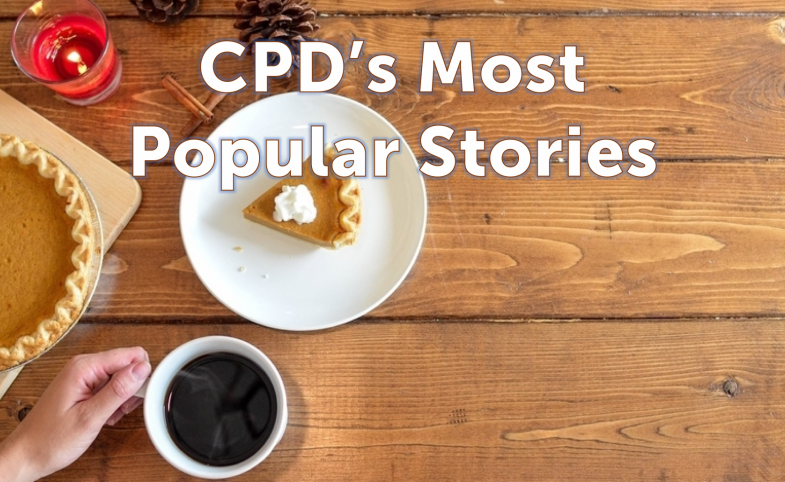 CPD partnered with Gaylord College at the University of Oklahoma to discuss what public diplomacy looks like from the vantage point of Middle America. A look at some of the tactics the United States can use to respond to disinformation in the 21st century. 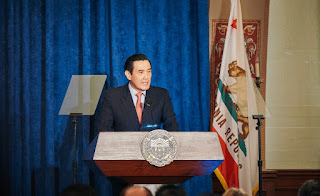 CPD was pleased to host Dr. Ma Ying-jeou for a conversation on cross-strait relations and the vital role of commerce, exchanges and tourism in forging new relationships between mainland China and Taiwan. When foreign ministries first migrated online, they viewed social media platforms as mass media channels. Much like radio and television, Twitter and Facebook could be used to disseminate messages among millions of users. Subsequently, the focus of online activity was mass information dissemination, while the parameter for success was audience reach. 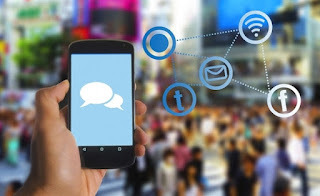 MFAs relied mostly on general engagement parameters such as the number of followers they attracted on social media, the number of retweets their messages garnered and their overall reach online. However, foreign ministries soon learned that social media was quite different from other mass mediums (e.g., radio, television). This was because users could react to diplomats’ content and even hijack that content for their own purposes. One notable example was Sweden’s launch of a virtual embassy on Second Life. Sweden’s goal was to open a global embassy that could showcase Swedish art and culture. However, some Second Life users saw the embassy as a state-sponsored invasion of virtual space and protested the embassy’s presence. What followed was the realization that social media was a two-way medium with interaction between messenger and recipient. While some diplomats feared the power of online masses, others saw an opportunity to better craft diplomatic messages. By using the feedback of social media users, diplomats could identify which elements of their foreign policy were contested or negatively viewed. Moreover, diplomats could use online comments to better understand how their nation was viewed in various parts of the world. Thus began the age of digital diplomacy 2.0. What characterized digital diplomacy 2.0—which began circa 2014—was the transition from targeted to tailored communication. Foreign ministries were no longer occupied with reaching masses of audiences but with reaching specific audiences. 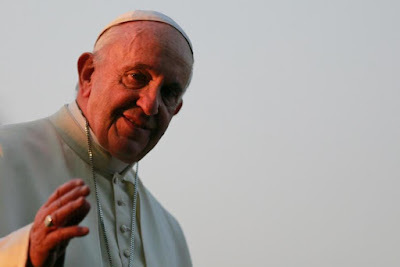 Moreover, foreign ministries aimed to tailor their messages to the interests and beliefs of these specific audiences. For instance, foreign ministries sought to interact with opinion makers such as journalists, bloggers and other diplomatic institutions. Thus, they were no longer occupied with how many followers they attracted online but with how many diplomats and journalists they attracted. By 2016, foreign ministries and embassies were using network analysis to identify and interact with specific audiences while adjusting their evaluation parameters. Yet it was 2017 that has seen the slow emergence of the next stage of digital diplomacy: personalized diplomacy. The third and current stage of digital diplomacy is that of personalized diplomacy. It is during this stage that foreign ministries and diplomats will attempt to create a diplomatic experience that is tailored to the individual. Such tailoring may center on the user’s interests, needs or patterns of technology use. By offering users a personalized experience, the MEA increases the likelihood of users returning to the application, engaging with MEA content and sharing what they have learned with online contacts. 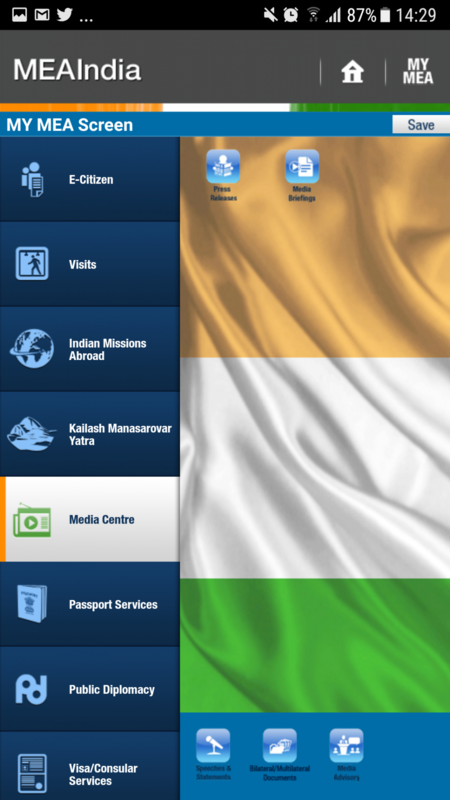 One interesting example is a smartphone application developed by the Indian Ministry of External Affairs (MEA). The MEA is not the first foreign ministry to launch its own application; both the Polish and the Canadian ministries have launched apps. 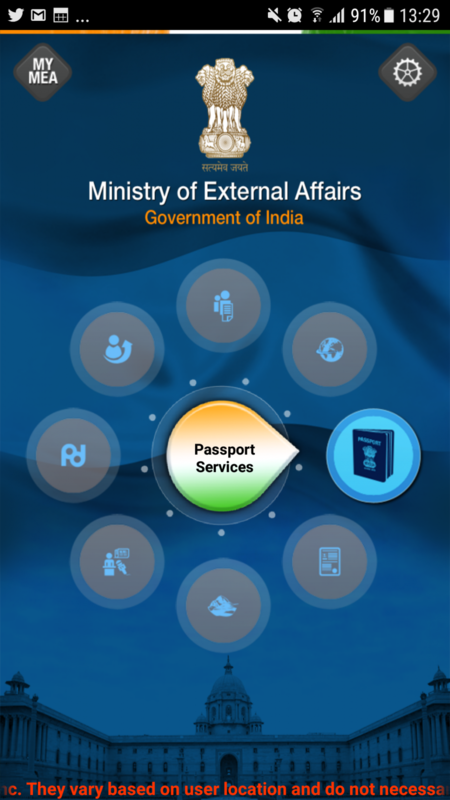 However, while the Canadian application focuses on consular aid, the MEA’s application focuses on supplying digital services and information to users. Moreover, unlike the Canadian application which is relevant only to Canadian citizens, the MEA application seems to target both domestic and foreign populations. The application has seven features. 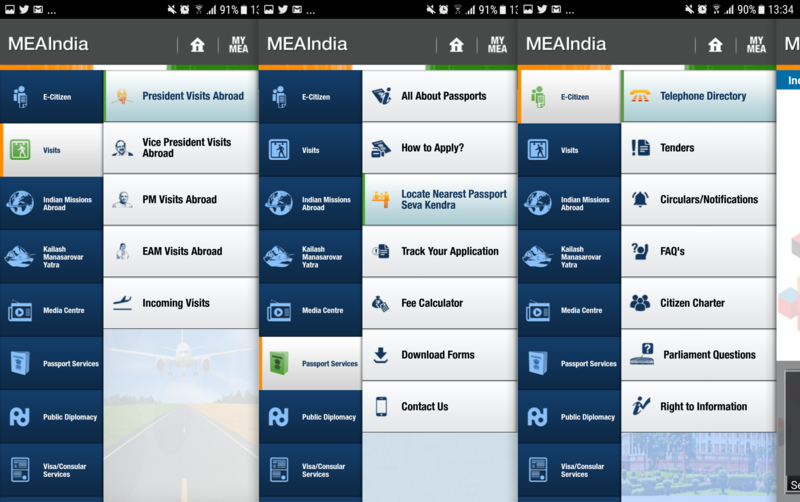 The first is the e-Citizen feature that offers e-services to Indian citizens ranging from telephone directories to employment opportunities at the MEA. The second feature enables users to track state visits by Indian officials abroad as well as state visits by foreign dignitaries to India. The scope of available information is substantive, ranging from images to bilateral and multilateral documents signed during state visits as well as public statements made by world leaders. 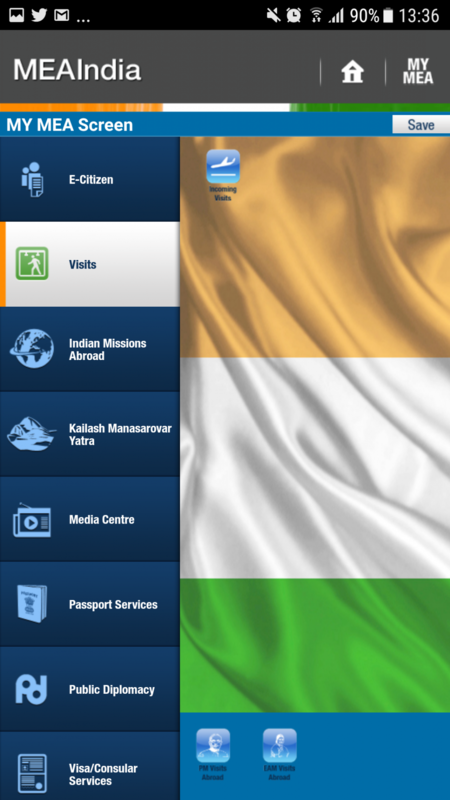 The third feature enables users to locate the nearest embassy to them, to read updates from embassies and even to hear podcasts by Indian ambassadors. 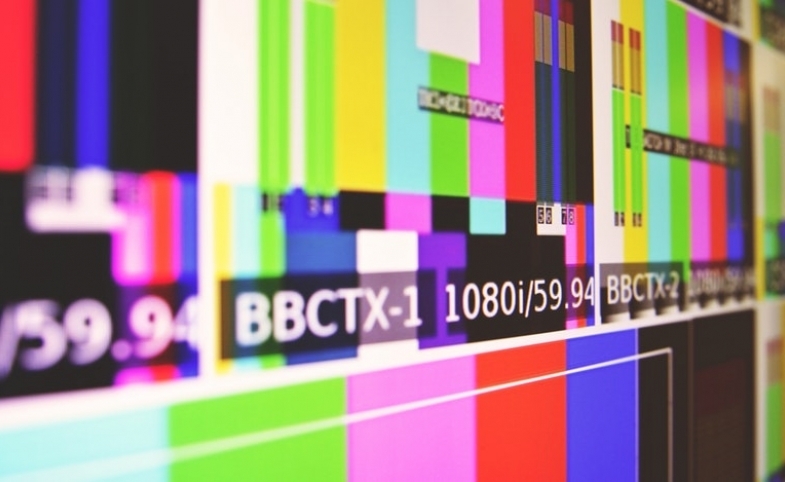 The fifth feature is the media center which consists of a wide array of documents, press releases, speeches, statements and transcripts of media briefings. The sixth feature is a consular one. It is in this feature that a user can apply for visas, track his or her application, download forms and even communicate with the MEA. The seventh and final feature focuses on public diplomacy. It is under this feature that a user can hear lectures on Indian diplomacy from former ambassadors, watch documentaries on India or read issues of the MEA’s magazine, India Perspectives. The review of the MEA’s application thus far suggests that it offers a breadth of information. However, the most interesting feature of the application is its personalization mechanism. Each user can create his or her own MEA application by selecting the specific issues he or she wishes to follow more closely. Users even have a notepad where they can write comments on the information they have reviewed. This form of digital diplomacy offers users a personalized digital experience that is tailored to their interests and needs. Journalists can follow press briefings and state visits while prospective tourists can follow embassy updates and track their visa application. Users can even interact with the MEA through the various modules. By offering users a personalized experience, the MEA increases the likelihood of users returning to the application, engaging with MEA content and sharing what they have learned with online contacts. The practice of digital diplomacy 3.0 will likely continue to take shape in coming years. This process may be facilitated by a host of new technologies. Virtual and augmented reality may soon enable users to virtually travel to other countries and experience their culture and history. Such trips will be personalized and will offer each user an experience that matches his or her specific interests. Artificial intelligence will be employed to communicate with online users and best meet their consular needs while smartphone applications will send users notifications tailored to their occupational needs. Importantly, foreign ministries should invest in developing personalized forms of digital diplomacy, given that online users are already accustomed to personalized online experiences when logging onto Netflix, Amazon or Pizza Hut. 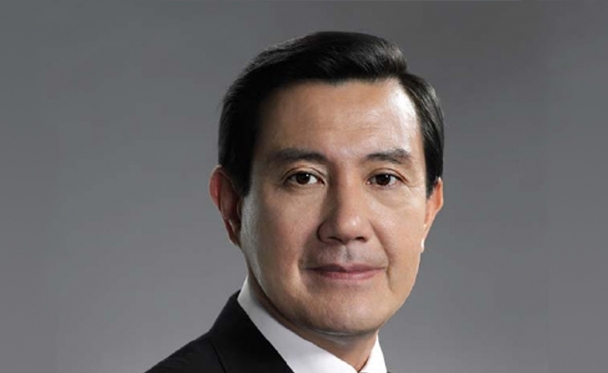 CPD Blog Contributor Gary D. Rawnsley recently published an article on Taiwan's public diplomacy under Former President of Taiwan Ma Ying-jeou's administration. 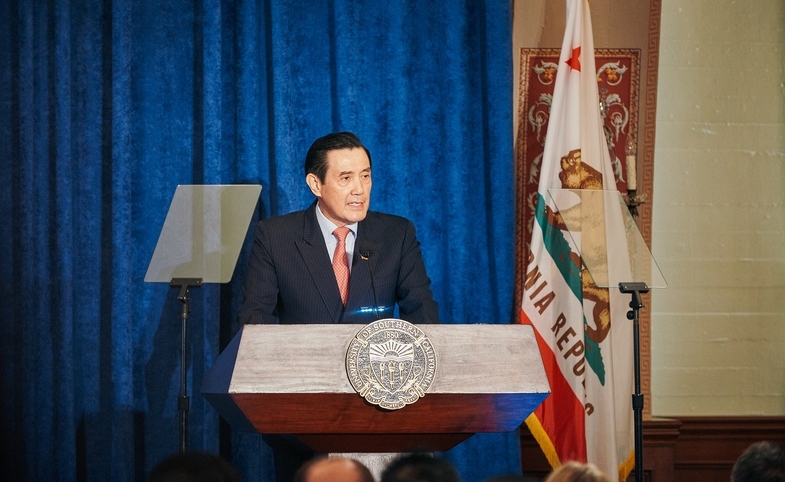 The article, "Soft Power Rich, Public Diplomacy Poor: An Assessment of Taiwan’s External Communications," looks at how actions such as dissolving Taiwan's Government Information Office have impacted the country's global communications strategy. Inspired by an American diplomat who commented, “Taiwan has grown into a society that represents most of our important values that we try to promote elsewhere in the world,” Rawnsley sought to answer the following question: "if the American diplomat...is correct to correlate Taiwan’s values with those of other liberal democracies, especially the U.S., why is Taiwan still unable to connect with international audiences?" The full article was published in The China Quarterly and is available online at the Cambridge University Press website. 2017 McLuhan Fellow to speak in T.O. Dec. 5. What does PDSC stand for?